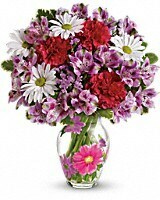 Such a pretty bouquet for such a reasonable price - the ideal choice for Mom and your budget. 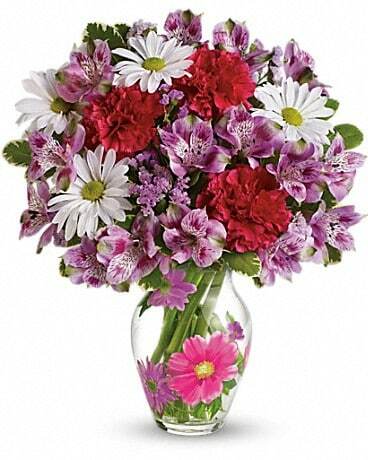 She'll be delighted with the sweet bouquet and will absolutely love the sparkling glass vase decorated with bright flowers. A beautiful bargain. 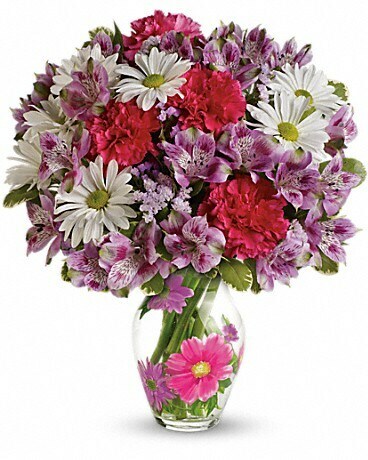 You want to give Mom a gift she'll love, but your funds may be a little iffy right now. Here is the radiantly right solution. 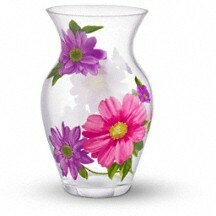 Beautiful spring flowers in a sparkling glass vase covered with colorful flowers. She'll be in heaven.